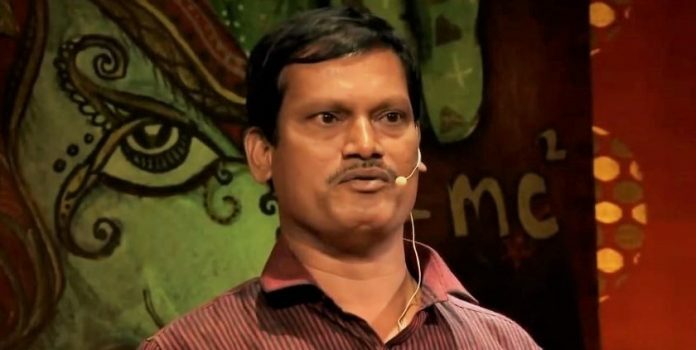 Social entrepreneur Arunachalam Muruganantham says the movie ‘Padman’ is getting more and more men to openly talk about women’s periods. How do you feel now that a film has been made on you and your campaign? This film is not about me; it is about women and their hygiene. This is the world’s first movie where the hero is going to talk about women’s periods. I am so happy that this film has been made and that it is getting more and more men to openly talk about women’s periods. What convinced you that a Hindi film director and producer will be able to do justice to your campaign on celluloid? Twinkle Khanna followed my story for a year-and-a-half. I was worried because a lot of people take the rights of a story but they take years before to make a film out of it. I didn’t want that and I told Twinkle not to do such things. She convinced me that the minute I give her the rights, the shooting will start. She came through on her commitment. Also importantly, the director, R. Balki, is a Tamilian. I am a Tamil too. So I was able to open up to him since there was no language barrier. As a result, we became a strong team together. How does it feel to see Akshay Kumar play your role? He is a very humble man. He would ask me for each and every detail. I was on the location throughout and he would keep asking me questions in the most humble manner. He has portrayed me 100 per cent. If you see the movie, you will understand. What do you want this film to achieve? In India, 12 per cent of women use sanitary pads; 88 per cent either don’t use them or have they access to sanitary napkins. The awareness is missing here. So I am hoping that this film will be watched by more and more people and the awareness will spread. I want the government to show it in every part of the country. Do you believe this film will be able to break taboos around menstruation? Wives don’t talk to their husbands about their periods. Daughters don’t talk to their mothers about their periods. It has been a taboo for centuries. I think we are already making a big improvement. There are ads on TV where a girl is openly talking about her periods. But what I am hoping the film will achieve is that even men will understand what periods are. There has been a demand to remove GST on sanitary napkins. What’s your take? I really feel that the government should remove GST on sanitary napkins. I believe that if women’s menstrual health is taken care of, a lot of the government’s spending on women’s welfare will be reduced and its money will be saved. So, remove the GST and see the improvement in women’s welfare. I want to see all Indian women using sanitary napkins. That is my dream. Women are the real strength of the world. I want women to lead the world because only then, it will be a heaven on earth.